Mark Scheifele, Blake Wheeler and Kevin Hayes each collected one goal and three points as the host Winnipeg Jets erased a two-goal deficit to claim a 5-3 victory over the Nashville Predators on Friday night to vault into top spot in the Central Division. 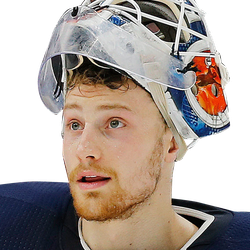 Goalie Laurent Brossoit stopped 35 shots for the Jets, who snapped a two-game losing skid and moved one point ahead of the Predators. Winnipeg, which went into the game with one win in six outings (1-4-1), also has three games in hand. Amazingly, the score was tied 2-2 with six minutes remaining before a wild finish. Wheeler broke the deadlock with 5:51 remaining, netting his 13th goal of the season with a wicked wrist shot from the right faceoff dot. Tyler Myers scored the first of two Winnipeg empty-net goals with 1:46 seconds remaining, which ended up the game winner before Nashville's Mattias Ekholm scored with one minute left. However, Hayes found an empty net with 32 seconds remaining to ice the affair. Nashville took a 2-0 lead to the surprise of the home crowd. Viktor Arvidsson opened the scoring at the 15:21 mark, converting a perfect shot off the near post and into the cage. Then P.K. Subban one-timed a rocket of a point shot for a power-play marker at 12:12 of the second period. However, the Jets responded to tie the score before the period ended. Scheifele put Winnipeg on the board with a power-play goal of his own at the 15:48 mark of the middle frame, neatly depositing a backhander for his 32nd goal of the season. Then, Kyle Connor made it a 2-2 game with 99 seconds remaining in the period by being on the spot to slam a loose puck into the cage for his third goal in five games. 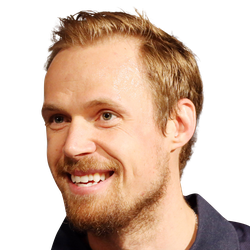 Pekka Rinne made 27 saves for the Predators, who have lost two straight and three of four games.